The fear of fraud, spoofing, phishing, identity theft, and lax website security have a sizable percentage of consumers wary of using credit cards online. According to the 2011 Norton Cyber-crime Report, cyber-fears are on the rise - nearly three quarters of adults (74%) say that the possibility of cyber crime is something they are always are of when online and nearly 9 in 10 say it's important that their security software protects their computer 100% of the time. 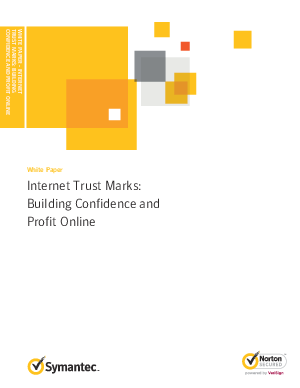 This paper examines how recent trends in Internet trust marks can restore confidence.